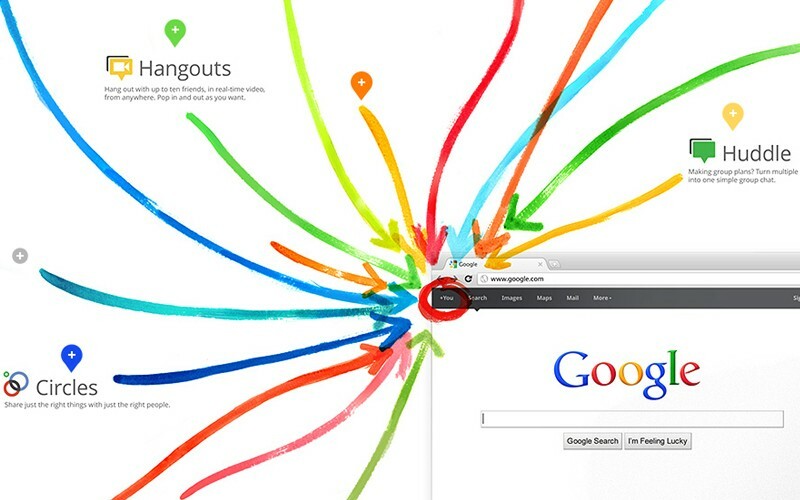 When we talk about web sites, we are talking about their visitors. No matter how well is the site made, no matter how useful and well-written content has and how cool it is, it is completely useless if nobody visit it. We can bring the readers to your site. Our company is on the SEO market for more than 12 years and for that time we have made many site owners happy. Would you like to be one of them? Contact us! You can send us an e-mail to peter.johnson@wcd.so. You will be responded immediately and we will talk about what we can do for you, what will be the price and what kind of benefits you can get. Of course you can call us on +44 161 832 2147 and we will discuss our possibilities. Our head quarter is located in Manchester, but we work with many freelancers all over the world. Why SEO (Search Engine Optimization) is important for hotel industry? The Search Engine Optimization (SEO) in the current online business scenario plays a crucial role in providing the business the much needed visibility and business possibilities. In this blog, we look at few aspects which could increase your hotel rankings on search engines (Google). No matter what size of property you own, big or small, you cannot totally rely on the words of mouth promotion in the hotel industry today. In this extremely volatile and competitive market, hoteliers are required to use all the webmaster tools of promotion that is available to them. If your property is unable to cash on the SEO, then the chances are that you might fail while your competitors gets in guest from left, right and center. The SEO method of attracting the search engine’s attention will actually help searchers (users) to find your property’s website when they are looking for a good hotel. As far as statistics are concerned, nearly 75% of the travelers use internet to find hotels to make their reservations and these users as per the statistics do not go beyond the first page of the search results. Therefore it becomes important for a hotel business website to get the top rank on the search engine ranking for the growth and increase in the number of guests which makes a successful business. SEO friendly website: The first and foremost important task of at hand is to create a website which is SEO friendly. By doing so, you make it easy for the search engine to locate your webpage and index them, ensuring your content appears on the search engine result page as soon as someone tries to find a good hotel using a particular keyword. Content is the king: Since search engine uses a method to rank website after seeing the relevant content you need to have pertinent content to draw audience for views on your hotel’s website. This will help you in earning respect and trust towards your brand. Role of Social Media: The content is not end of the business. Use of right platform to disseminate the information and making it reachable to end customer is also important. Today, social media platform is one of the best sources to distribute content to reach the target audience. There is no point of creating good content if it does not reach to anyone (READ: Social Media Knocking: Still unsure about Facebook-ing your hotel?). Use the social media to promote your content and spread the word in the industry. Optimize your hotel website: To maximize the view on your website you need to use Meta title using the relevant keyword. It is recommended to use the keywords which can get you high ranking on Google and try to use them in your content to enable search engine to get to your website. Make your hotel URL friendly: Since a lot of hotels are using internet to reach out to the audience which makes the dot.com business a lot more competitive and domain names can be pretty costly. Domain names with suffix like “.vacation” and “.resort” have recently made available which can really help your hotel business get better visibility online. Optimize local listings: The optimization of your hotel’s local listing is crucial as it makes the search engine to consider while indexing it as local business. The best possible way to get the local listing optimization is to actively participate and establish Google and Local page for your business. Get high quality backlinks: Backlinks are important when you want to boost your business’s visibility on search engine. By listing the website in well ranked local directories you make sure that you get higher rankings in the search results. These SEO strategies for your hotel’s website makes our business result oriented. By incorporation of the above strategies, you will enable your hotel to create a strong presence on the internet in hospitality business. For those of you who’ve heard SEO (Search Engine Optimization) is dead, let me assure you reports of its demise are premature, at best. While content marketing is increasingly important in driving traffic to your website, some elements of traditional SEO remain important — especially backlinks, but only organic, relevant, and real ones, pagerank, and keywords. But, how to choose keywords? Keywords, or, more commonly now, long-tailed keywords (keyword phrases), impact SEO because they determine WHERE you’ll show up. Use the right keyword (phrase) and you’ll show up in relevant searches. Use the wrong keywords and you’ll fight to show up in the first couple of pages. Use old SEO techniques, like keyword stuffing, and you might never show up. Well, the first step in choosing the right keywords is to ignore keywords — yes, ignore them. Write great content. Share your expertise, opinions, interviews, stories and don’t worry about keywords. Otherwise, your writing tends to feel stilted or your content gets skewed so it’s not valuable. Write first. Then, think about keywords. What’s your post about? Now, you can use tools such as Google’s Keyword Planner to find optional keyword phrases. I also use Scribe, a Copyblogger product to help explore keyword phrases and find links related to those keyword phrases. Technically a content optimizer, Scribe helps your overall Search Engine Optimization by providing reports such as the one below. As you can see, both the number of searches (popularity) and competition are important factors in choosing keywords. 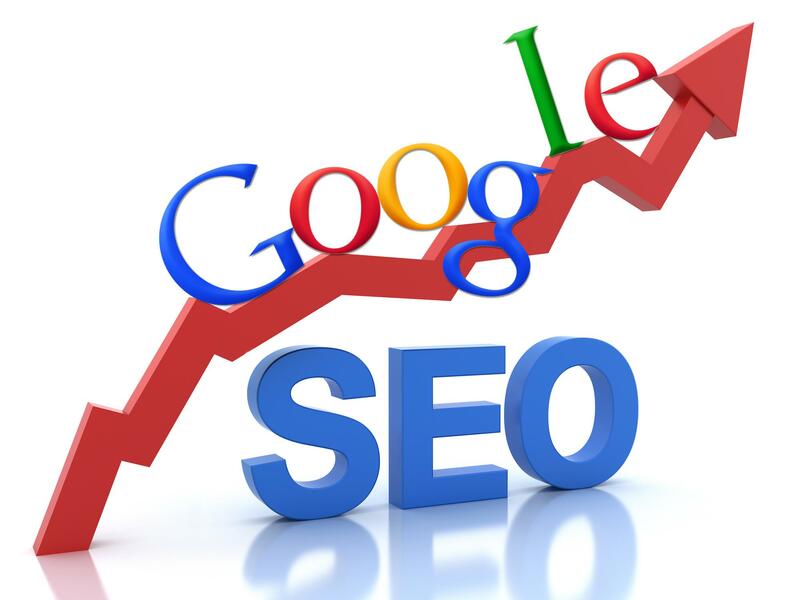 Notice, search engine optimization is the most popular search term, but also faces the highest competition, although at 45, the competitions is still reasonable for a good keyword. Note, you can choose several keywords within your content, you don’t have to stick to just 1. Next, think like a prospective customer. How will they frame a search. Here, a little research might help. For instance, you might ask current customers how they think about your product to understand the words they use. And, think broadly. I have a client who provides entertainment for parties. Previously, he was using keywords related to his services. Thus, he only showed up in search results when the hosts looked for his specific type of entertainment. I suggested he change his keywords so he now focuses on keywords related to the TYPE of parties where the hosts might hire him. His content focuses on the parties — planning, hosting, finding entertainment … He also posts content related to his target audience and tangentially related to his services. That way, potential clients find him in related searches and may come back when they’re planning a party. If you’re still not sure how to choose keywords that support search engine optimization, check out this tutorial from Moz. Learning how to choose keywords is only part of search engine optimization. You’ll also need a plugin like Yoast for WordPress (or another plugin or website coding) that stresses your keywords. Commonly, you’ll want to use your keywords in the title, alt tags (on images), in headings, and multiple times in your content. A word of caution, however. Beware of using your keyword too frequently (I’ve heard recommendations of 1 keyword/ 100 words of copy) or using them when the keyword phrase just doesn’t fit. For instance, dropping in your keyword phrase when the paragraph (or even the entire article) has nothing to do with your keyword. Also, ensuring your keyword fits with your site is important for search engine optimization. In general, you want your site contain multiple posts across 15 – 25 keywords (or related keyword phrases) to support the ranking of your site. Thus, choosing keywords for the entire site should also be part of your search engine optimization strategy. You can then use these keywords alone or some combination for nearly every post on your site. Of course, learning how to choose keywords is only 1 part of search engine optimization. You also need to test keywords frequently to see which ones are working. About a year ago, Google Analytics removed keywords from Google results. Yahoo and other search engines still provide them, however. Another option is to spend a little money on adwords to see how well keywords perform in terms of driving traffic and generating conversions because you not only want to increase visitors, you want the RIGHT kind of visitors — the ones who spend money. For many businesses, especially those with brick and mortar locations, local SEO is of paramount importance. Moz Local is a tool that helps strengthen your local search ranking by focusing on your specific location information and pushing it to search engines to ensure that customers searching near your location are able to find your store. This tool is especially helpful for retail stores, restaurants, movie theaters, and other types of businesses that may need a physical storefront for their products or services. The Internet Marketing Ninjas have established an industry-wide reputation for being some of the best online marketers around, and they’re giving you access to their suite of SEO tools for the convenient price of free. Inside of their package of SEO tools you’ll find an on-page optimization tool, a site crawl tool, an image and link analyzer tool, and much more. If you’re looking for a top-notch batch of tools, this is for you, and if you need help or want to hire an SEO specialist, the Internet Marketing Ninjas are ready and willing to help you with all of your SEO needs. Search Metrics has a host of tools and a track record of success when it comes to boosting their clients’ SERP rankings. Plus, Search Metrics also has a social analytics tool that allows you to track the activity and success of social media campaigns on networks including Facebook, Twitter, Google+, and more. One of the most effective ways to climb the ranks of the SERPs is to increase your on-site user engagement, which is what Infocc was built for. With the most recent batch of algorithm updates, Google has placed a heavy emphasis on “user engagement” metrics such as time on page, social sharing, comments and targets your readers to deliver those results. Over the years, Majestic has developed a reputation as one of the best SEO services on the web, partially due to their technology, and partially due to their unrivaled expertise. Majestic SEO offers some great technology, specifically in terms of crawling, backlink and keyword research, and more. Majestic offers several free options for users, as well as an SEO API, which offers much of its backlink data for free. A/B testing is an important part of virtually every facet of online marketing and SEO is no different. In order to get the best results from your SEO efforts, you need to constantly be analyzing what’s working and what isn’t, and swapping things out until you’ve achieved the results that you want. In order to help you A/B test various aspects of your SEO strategy, Optimizely has created an easy and effective A/B testing tool for conversation rate optimization that will help you really hone in your search strategy. When it comes to tracking search visibility and performing competitive intelligence, SEO Engine offers some of the best insights you can find. From domain analysis with SEO and paid visibility to competitive analysis and keyword distribution, SEO Engine has a host of tools and a track record of success when it comes to boosting their clients’ SERP rankings. Plus, SEO Engine will show you exactly where you are and how far away from your competitors you rank. They also give you the exact data along with insights on how to get to be number one. Note: I’m invested in their company after becoming a customer, that’s how amazing I think they are. If SEO is something that you have to do on your own, be sure to find the right tools for you and use them to the best of your ability. After all, these 11 tools offer free or freemium services and will only help you improve your site’s search ranking, which will ultimately translate to more sales and revenue for your business. Search engine optimization is a crucial part of any brand’s online marketing strategy. Without a cleverly crafted and well-executed SEO strategy, it’s likely that your website and/or business will miss out on valuable impressions, clicks, and sales. However, despite the fact that SEO plays an inarguably important role in the success of my business, many online publishers continue to neglect their SEO strategy, usually due to a lack of experience or a lack of resources. But in order to compete with larger brands and other publishers in your niche, SEO is an area of that you must invest in, and you must get the most out of. The good news is that there are a number of ways that you could go about your search engine optimization efforts. Many larger brands tend to utilize SEO specialists or firms to help them guarantee their front-page spot in various search engines. But for smaller publishers and businesses, this may not be a financially viable option and they are forced to look elsewhere for solutions. Developing and implementing a successful SEO strategy is no easy task though, especially within the ever-growing competition online. But armed with the right tools and a little bit of information, you can give your site’s SEO a much needed boost and ultimately drive more business. Here are the 11 hottest SEO tools out there that are guaranteed to improve your site’s search engine ranking and help you be more competitive in your niche and bring in more revenue to your business. Note that some of them compete with each other and do similar things but I still recommend all of them! Every SEO campaign begins with keyword research, and Google’s AdWords Keyword Planner Tool is one of the easiest and most effective tools out there when it comes to finding keywords that your audience is searching for. Keep in mind that the numbers presented by AdWords aren’t always spot on, but you will easily be able to find the terms that your potential customers are searching most often. Once you’re able to identify the terms that your audience is searching for, you can more effectively target those terms in your content and on your pages to help boost your site’s relevance on those specific terms. Using a keyword research tool is one of the quickest, easiest, and most effective ways to hone in on relevant terms and begin to rank specifically for the things your audience is looking for. SEO Book offers a handful of different SEO tools on their site, and as long as you create a free account with them you will receive unlimited access to a variety of tools including a keyword suggestion tool, link suggestion tool, and spider test tool, among others. SEO Book is a great place for you to analyze your current SEO strategy and practices and try to improve them through their various tools. When it comes to actually looking at the success of your SEO endeavors, SEO Book’s suite of free tools can act as a one-stop shop to help you give your strategy the boost that you’re looking for. Moz’s Open Site Explorer is a great tool for helping you find potential back link opportunities to help your site’s link building strategy. Open Site Explorer enables you to research your competitors’ backlink profiles by simply analyzing their domains. After you input a competitor’s URL, Open Site Explorer will provide you with detailed information on things like link anchor text, page authority, and domain authority to give you a better idea of how to strengthen your own backlink profile. If you’re in the paid search space, chances are your interests are in the keywords that your competitors are ranking for, as well as the CPC for those specific keywords. This is what SEMrush specializes in. Users with a free account can run a report that shows ten different keywords by simply entering a domain and clicking on the “Full Report” link. There, SEMrush will show you the domain’s approximate organic ranking, along with information about its search volume, CPC, URL, percentage of traffic generated, ad competition, number of total search results, and more. Whether you are a startup or an established company, a luxury brand or a middle-market player, a carefully planned digital campaign is essential to overall marketing efforts. And while the online landscape can be daunting, there are tools available to help guide and execute an effective digital strategy. The key to a successful digital campaign often starts with Search Engine Optimization, commonly referred to as SEO. Simply put, SEO is favorable positioning on search engines–i.e. making it easier for audiences to find you online. When implemented properly, it leads to impressive surges in web traffic. There are two primary components of SEO–on-page and off-page–and it is imperative to focus on both. The website Moz provides valuable resources for self-teaching. If you don’t have the time or inclination, hire an outside professional, ideally one with experience in your industry. And if all else fails, focus on generating distinctive, shareable content. In the world of search engines, great content trumps all. A successful SEO campaign is rooted in maintaining a dynamic website, with rich keywords and strategic descriptions designed to match the queries that your audiences enter into a search engine. It’s important to understand the relevant keywords for your business, and the competition for these keywords across the Internet. Incorporating keywords into your web content helps your site become more easily searched. Google has a tool called Keyword Planner that allows you to see the volume of searches by keyword and by geography. It is best to pick five to 10 keywords with high search and relatively low competition from other websites and create a campaign employing those terms naturally throughout your online copy. A website should consist of dynamic, changing content. Dynamic websites almost always perform better in search rankings than static sites. To do this, add a press page or news section to your site and make sure the content includes your keywords. The things you can’t see on a website can be just as important as the content you can. Since most of us aren’t programmers, make sure to tell your web developer what keywords you would like to focus on. He or she can help incorporate these into the structural attributes of a site, such as page titles and website addresses, furthering your competitive edge. Few programmers double as SEO professionals, so expect to approach them armed with information and specific directives. As part of an off-page SEO campaign, it is beneficial to liaise with key influencers and bloggers in your industry. Encourage influencers and voices in the community to write about what you are doing, and link back to your site. 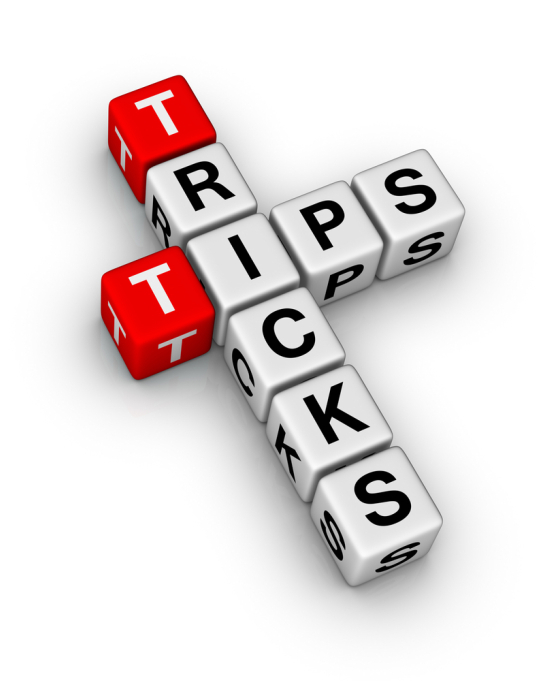 Articles linking back to your site help increase your search engine rankings. You might consider writing a guest post for a blog that covers your industry. A website should be designed to be responsive. This type of site will acclimate properly on mobile devices such as smartphones and tablets. This allows audiences to easily view and interact with a site from a mobile device. When developing a new website or considering a refresh to an existing site, keep in mind the importance of incorporating key text, especially on the homepage. Text still remains king when improving a site’s search engine rankings. Flash website designs are almost obsolete at this point, however, powerful imagery is essential. Beware of splashy intro pages, though. Paid services like Google AdWords or Yahoo Search Ads are another way you can drive traffic to a website. These services allow an unprecedented degree of microtargeting. Marketers can direct advertisements to prospective clients based on their query, and only pay for the people who click through to visit their website. While you only pay for the clicks you accrue, a cautious approach is recommended. It may be best to hire a professional to handle this aspect of your digital campaign, since the bidding formula is complicated and Google, Microsoft, and Yahoo have a lot to gain from poorly conceived bidding. Another option is to take advantage of third-party advertising platforms to run image-based advertisements on multiple websites at once. Google has a Display Network where you select a website for online advertising and then set your maximum bid for each click. If there’s remnant space available and they accept your bid through the automated process, you can run banner-style advertisements on the selected site. As more people seek multimedia experiences online, video is appearing higher in search results. Consider hosting a video on your site, whether it’s an introductory or how-to type video. The video can be added to external platforms such as YouTube to maximize exposure. With constant oversight and some tweaking, your digital marketing campaign can lead to increased website traffic and can help get new business leads in the door. If you are not making an effort to improve your organic search engine ranking positions you are missing opportunities on a daily basis. Here are five basic tips to help improve your organic rankings. Your keyword research will determine whether or not your search optimization effort will be a success or a failure. Many businesses make the mistake of basing their keywords on just the search volume. This often leads to attempting to rank for keywords that are very difficult and costly to move up, or even keywords that aren’t “buyer” keywords and just send useless traffic to the website. There is absolutely no reason why your on-page optimization should not be perfect. It can mean the different between your website showing up on page three of the search results and your website being the top listing. We encounter so many local businesses that simply ignore their on-page optimization (or the prior SEO company didn’t optimize correctly). Instead of repeating the steps to optimizing your on-page factors, we will point you to a detailed explanation and guide that you can read to see what you need to do to get your on-page optimization perfect. Check out our definitive on-page optimization guide to learn more. You should have a blog on your website. This allows you to constantly add new content to your website. The search engines love websites that are constantly updated with fresh content. In their eyes a website that is constantly updated provides more value to the end user. If you are have been publishing content on a regular basis you might want to perform a content audit on your website. Links to your site still (and will continue to) play an important role in SEO. While the wrong approach and the wrong links can get your website penalized, the right high quality links can help you reach the top of the organic search results. If you (or your SEO agency) are using spammy SEO strategies it is time to stop before it is too late. Google’s is constantly rolling out algorithm updates and refreshes in an attempt to clean up their search results and keep spam from ranking. Guest blogging and infographic distribution are great ways to attract high quality links. Do not focus on the total number of links. Spend your time focused on quality links, from websites that are highly relevant to your business. If any SEO company tells you that they can rank your website virtually overnight you need to turn around and run away…fast. Google will continue to refresh their Panda, Penguin, and Hummingbird updates, so make sure that you are focusing on quality rather than quantity. You need to constantly monitor your keyword rankings and determine whether or not your SEO efforts are paying off. Not only do you need to be monitoring your rankings but you need to dive deep into your analytics and determine what keywords and traffic sources are producing the most conversions. Using this data can help you identify additional “buyer” keywords to target and what keywords to stop targeting. Keyword research, content marketing, and link building are things that you need to constantly be doing, even when you reach the top of the search rankings. Many businesses think that they can slow down these efforts once they reach the top, but easing up on your SEO strategy will see your competition take over the top position if you are not continually improving your search engine optimization effort. 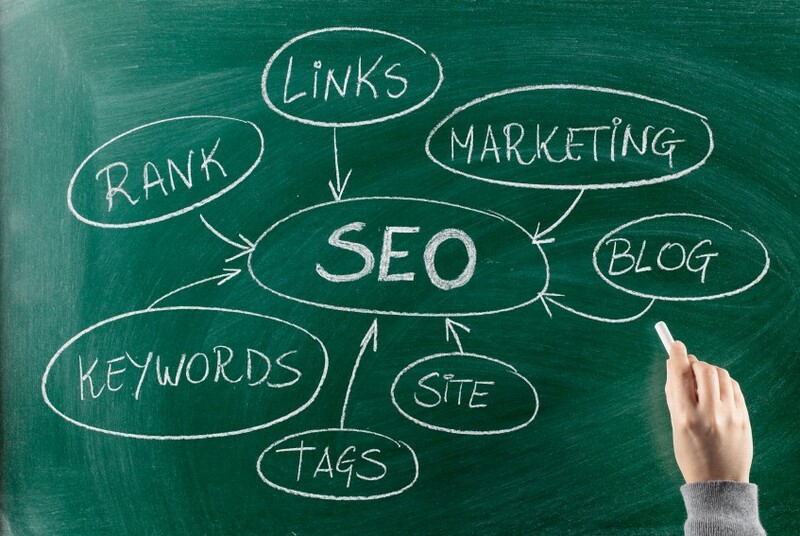 Now, these are just some very basic tips to help with your SEO efforts. If you are interested in learning how a professionally managed SEO campaign can help your business grow contact us for a free consultation. We can create a custom solution for businesses of all sizes. Did Panda really beat up on eBay? Or did criminals cause slower growth for the online marketplace instead of Google’s search formula update? Then again, maybe Google punished eBay, experts say. First a cyberattack and then a Google Inc. search demotion: May 2014 is a month that eBay Inc. likely wants to forget. According to several experts, the online marketplace’s sales declined in the wake of the May 21 announcement that a database storing 145 million encrypted passwords and other “non-financial data” was the target of a cyberattack between late February and early March. That same week, Google released an update of its search algorithm that represented a further effort by Google to reward high-quality web sites with better rankings in organic search results. Though Google says Panda 4.0, as the update is called, affects about 7.5% of English-language searches, the change could have impacted up to 80.0% of eBay pages, estimates Scot Wingo, CEO of ChannelAdvisor Corp., which helps retailers sell on marketplaces operated by eBay, Amazon.com Inc. and other companies. In general, Google considers poor-quality web content as consisting of some form of spam, such as packing pages full of keywords or invisible text—keywords hidden in the background of a web site where search engines, but not regular web site visitors, can see them. These techniques are used purely to boost a web site’s rankings in search results instead of making the site more relevant for consumers, and Google for years has sought to counter these tactics. EBay did not respond to requests for comment, and Google gave no specific details about why eBay’s search traffic dropped as much as 33.0% after the Panda 4.0 update, according to an estimate from search engine optimization services provider Searchmetrics GmbH. One theory has Google manually punishing eBay for what Wingo describes as “eBay’s SEO strategies pushing the envelope.” Google will typically punish e-retailers that try to game its search governance. Sebastian says that while eBay experienced “strong (mid-teens) growth” in early May, that pace dropped to “single digits” in the last half of the month. Wingo says that same-store sales on eBay for ChannelAdvisor clients grew 11.5% year over year in May, down from 14.0% year-over-year growth in April. EBay’s auction sales dropped 11.1% year over year in May while fixed-price sales increased 13.0%. Especially in highly competitive sectors such as the aforementioned insurance or loans could be linked to a long search, do without professional help.Often webmasters contact after some time to topics such as search engine optimization. Before the first attack for SEO measures, first a kind of “history” is created. At what positions is the site at the current time? About how many backlinks has the new website? The above issues are only a small selection of possible problems, more tips and tricks for SEO, inter alia. It does not matter if you have a private website or a page in your business is presented. In both cases, the maximum number of visitors come to your site must be your purpose. What you have accomplished can be enhanced through the Internet and in turn lead to more customers. Therefore, it is important that your site on search engines should be above. To ensure that your page is found, it must therefore be done. Because at the beginning of your web presence is the needle in the haystack.Especially Google is number one search engine. Nearly 96 percent of all search engines jobs is through Google. To be your site in the top ranks of search engines, it is inevitable to make a search engine optimization. For if, a page is not designed search engine friendly, and then it is extremely difficult to stand up in the rankings. In order to make these complex efforts must first be made an analysis of your website. In this respect, the compliance of your page SEO criteria is checked. Note that a reputable SEO agency offering such an analysis. Then it can already start with the optimization of the page. It is used first principles, which provide a higher visibility presence. With the help of the use of various SEO tools, their side in the shortest time will be found already in the front of Google rankings. Consequently, you can increase your profits with its website. Take advantage of the amount of potential that lies in the internet. In this matter, I think that Google already will be more effectively. Just as a few years ago when the semantics of Google and some other things were still in its infancy, but it already has a huge in regards to them. I can look at my rankings. Similarly, I can see it on Google+, only here that Google owns the data sovereignty, therefore rely on the web for more, and better understood. Who shares / reads what content is, an expert on any subject, etc. As expected, Facebook is mainly used. 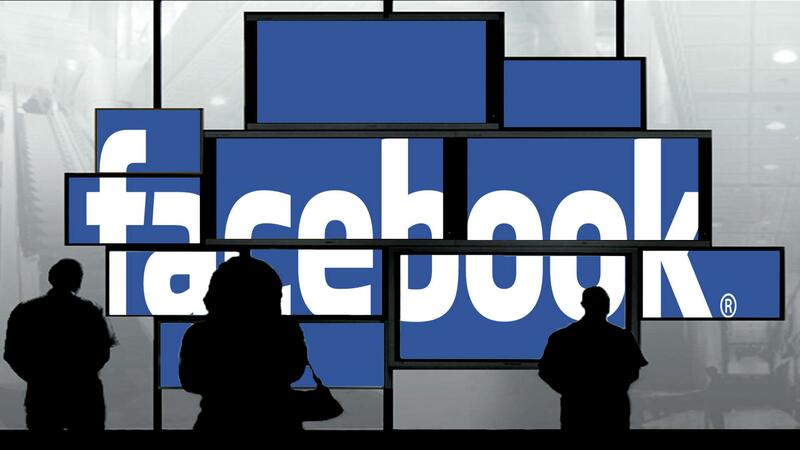 The social network is among the study participants to a spread of 90 percent. YouTube and Twitter are used by just under 70 percent of the operators. The integration into the online stores leads to Facebook: The Like button is in this study at a spread of 56 percent, the share button at 48 percent. The following are recommendations to buy and product reviews, which are used by 48 per cent, respectively, 45 percent of all shops. A recent study of Voycer AG has determined the relevance of social media in e-commerce. In an investigation, online shops were surveyed in Germany, Austria and Switzerland on the use of social media. The surprising result: One third of these stores already draw a tangible business value from their activities in the social web. That is for SEO experts that for the best possible placement of content in the organic search engine ranking of activities on Google+, are becoming increasingly important. In terms of interaction between SEO and social media has two important core activities. Social Media Optimization (SMO) and Social SEO. They are often used as synonyms; the measures differ in some respects, according to the experts. SMO is defined as targeted optimization for the optimal distribution of content within social networks. 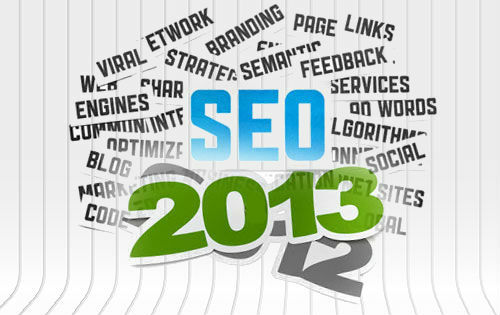 SEO includes the targeted optimization in terms of direct influence of search engine rankings. In regards to the maximum on Google+ ,to achieve effect have to be used the entire Google+ commitment palette, especially chatting.